PITTSBURGH, Dec. 13, 2018 /PRNewswire/ -- OnlyBoth Inc. announced today the appointment of Christine K. Cassel, MD, MACP, to its advisory board. Previously the president and CEO of the National Quality Forum, Dr. Cassel is a proponent of applying quality measurement and public reporting to drive improvement in healthcare. "Having been deeply entrenched in the quality of care movement over the last two decades, I see how important transparency is to performance improvement," Dr. Cassel said. "But transparency only works if consumers and providers alike find the information accessible and meaningful. Automated benchmarking technology provides a clear means for providers to access comparative performance data, and has the potential to change how consumers access reliable provider performance data as they make choices about care." OnlyBoth Inc. uses the Centers for Medicare & Medicaid Services data to generate language-based insights about hospitals, nursing homes, dialysis and rehab facilities, and various health agencies in an automated, objective way at www.benchmine.com. By focusing on certain performance outcomes, users can zero in on strengths and weaknesses of a provider, and take proactive steps for quality care provision. Dr. Cassel has had a robust career in quality healthcare advocacy. She's a visiting professor and presidential chair at the University of California, San Francisco, and was previously the planning dean of the Kaiser Permanente School of Medicine. She also held key government advisory positions under presidents Barack Obama (President's Council of Advisors on Science and Technology) and Bill Clinton (President's Advisory Commission on Consumer Protection and Quality in the Health Care Industry). 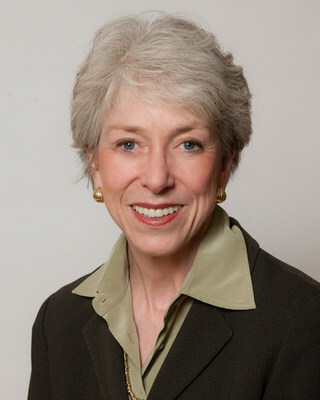 Dr. Cassel will engage with OnlyBoth leaders on the functionality of benchmarking insights on www.benchmine.com, seek partnership opportunities with various organizations and government entities, and help raise awareness of benchmarking in healthcare to motivate performance improvement and patient-driven outcomes. "OnlyBoth has taken complex, publicly available data and turned it into meaningful, insightful commentary for providers and consumers. It's exciting to think about the potential of this automated technology to transform healthcare benchmarking," Dr. Cassel said. "Our ultimate goal is to make a positive impact on all of healthcare by enabling an unprecedented level of transparency into provider performance," said OnlyBoth CEO Raul Valdes-Perez, PhD. "Christine's experience in quality metrics is very valuable to our company as we further the role of benchmarking in healthcare to motivate patients, providers, and various organizations toward improvement." Pittsburgh-based OnlyBoth Inc. offers complete performance transparency across multiple healthcare environments through its unique Web-based benchmarking engine, BenchMine.com. OnlyBoth® leverages current, rich data and unique artificial intelligence technology to provide automated, unbiased perspective in statement format for compare-and-contrast focused decision-making. Named one of Gartner's 5 cool vendors in Analytics for 2016, the technology transforms public data into concise, easy-to-understand statements about how facilities are excelling and where they can improve. Just as search engines streamlined information-seeking, OnlyBoth revolutionizes benchmarking of hospitals, nursing homes, home health agencies, and ultimately of all healthcare providers. For more information, please visit https://BenchMine.com and https://blog.onlyboth.com.